Attend, scan, earn and redeem. Your VRC Membership Card is your key to the Racing Rewards program. Earn 1 point for every $1 spent on course and on selected Membership products and packages. 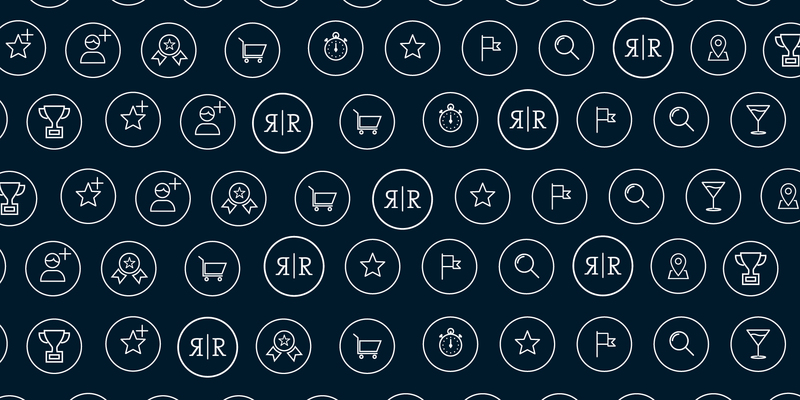 Attend racedays to work your way up through the tiers and reach Platinum Tier Status. Redeem your points to reward yourself, or treat family and friends to a day out at the races. Sign in to your online account above to check your points balance and start redeeming now. Who is eligible to participate in the Racing Rewards program? All Members are eligible to participate in Racing Rewards (excluding children under the age of 18 years of age, including Phar Lap Club and Junior Members). 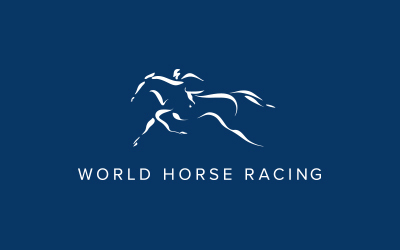 Employees, directors, contractors and other representatives of the VRC and organisations or individuals involved in providing sponsorship benefits to the Racing Rewards program, and the aforementioned parties’ immediate families, are not eligible to participate in Racing Rewards. With regard to absentee Members, any points or Tier Status entitlements earned prior to absentee Membership are unavailable until the absentee Member becomes a Member. Point and tier expiry rules will still apply. Why can’t I participate if I am under 18 years of age? Phar Lap Club and Junior Members are excluded from participation in the Racing Rewards program due to this being a sub-category of Full Membership. Why should I opt-in to email and SMS communications from the Club? In order to receive notifications on upcoming benefits and promotions it is a requirement of the Racing Rewards program that all Members provide a correct email address, mobile number and postal address. Without providing your correct details, Members may not receive particular promotions for upcoming racedays. Who do I contact if I have any concerns about Racing Rewards? Please email racingrewards@vrc.net.au, contact VRC Customer Service on 1300 727 575, or visit the Raceday & Ticketing Office on raceday, located next to the Flemington Heritage Centre. You can view your points and Racing Rewards information by signing into your online account and selecting the Racing Rewards tab from the account management menu. The VRC may send you offers through Members’ emails, SMS notifications, VRC publications, letters, Point of Sale screens on raceday or on other screens on course. These offers will cover a wide variety of products including food and beverages on raceday, access to Members’ Events and Members’ ticketing. Please ensure your contact details are up to date so you receive these offers. If you would like to update your details, please contact VRC Customer Service on 1300 727 575 or email racingrewards@vrc.net.au. Please note that the VRC reserves the right to make changes to the Racing Rewards program at its discretion. Any material changes will be publicised on the website, so please check the website and Racing Rewards terms & conditions (PDF) regularly for any changes. All price draws and promotions referred to online or in the handbook are indicative only and will be subject to the specific terms and conditions released for that promotion. You can terminate your participation in the program at any time by notifying us in writing. If you do so, or you cease to be a VRC Member for any reason, or your Membership is terminated, or you move to an ineligible Membership category, your points and other Racing Rewards benefits will be forfeited. Tier benefits will change each Racing Season and will be communicated before each season commences. Pay your VRC Membership subscription. Access to offers and benefits through VRC partners. Access to Bronze Tier benefits. Access to Bronze and Silver Tier benefits. Access to Bronze, Silver and Gold Tier benefits. The ability to purchase Members Enclosure Daily Guest Passes for the Melbourne Cup Carnival without the restriction of the guest being an international visitor on AAMI Victoria Derby and Lexus Melbourne Cup Days. A limit of four tickets per Member still applies. 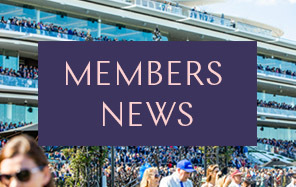 ^ Please be advised that Members’Enclosure Daily Guest Passes will be sent upon renewal payment for the following season and can be used for all racedays during the following season, excluding the Melbourne Cup Carnival. * Platinum Tier Status Members are entitled to transfer Racing Rewards points to another participating Member once per Racing Season, upon request to Racing Rewards. Transferred points will be subject to their original expiry date, and points’ expiry rules on transferred points still apply. Email racingrewards@vrc.net.au with your Member Number and the Member Number of the proposed recipient. Do I automatically receive my benefit when I reach Tier Status? Not always, please refer to the Racing Rewards Terms and Conditions (PDF) for specifics. For example, Racing Rewards complimentary Members’ Enclosure Daily Guest Passes will be allocated at the start of a Racing Season to a Members account once renewal payment has been made. The quantity of Members’ Enclosure Daily Guest Passes allocated will be based on the Tier Status at the beginning of the corresponding Racing Reason. When does my Tier Status remain from? Your Tier Status will remain from one Racing Season to the next as long as your spend, attendance or tenure history is re-achieved by the end of the subsequent Racing Season. For example, if you achieve Gold Tier Status by the last raceday of the season (Saturday 22 July 2017), you will enjoy Gold Tier Status benefits until the following season (Saturday 21 July 2018). If during the 2017/18 Racing Season you achieve Platinum Tier Status, then you will automatically be elevated when you achieve this status. If you do not re-achieve Gold Tier Status through your spend, attendance or tenure, you will move into Silver Tier Status or Bronze Tier Status (as applicable) from 1 August 2018. When does elevation of status based on tenure occur? Elevation of status based on tenure will occur on 1 August each year and will reflect your upcoming Membership anniversary. Otherwise, Tier Status is awarded upon qualification for the relevant tier level within the current Racing Season and runs until the end of the following Racing Season as described above. Can I share benefits with family and/or friends? No, all rewards are for the individual who earned the benefit by reaching the Tier Status. However, some rewards will allow you to invite a guest or can be shared with friends and family (e.g. Members’ Enclosure Daily Guest Passes). When do I receive the Members’ Enclosure Daily Guest passes I’ve earned throughout the season? Members will receive the total number of Member Enclosure Daily Guest Passes (based on their Racing Rewards Tier Status) at the start of the Racing Season once they have renewed. I redeemed a reward and I’ve now changed my mind. Can I return it? No, Racing Rewards does not offer refunds on redemptions. Products and packages must be purchased (not redeemed) to earn Racing Rewards points. Points will ordinarily be issued to your account within five days following the transaction date. Sign into your account at the VRC Membership portal to view your points tally. You must book/purchase eligible products before you can earn any Racing Rewards points on a transaction, and points will not be earned on any transaction that is cancelled or returned. Points will be allocated to the Member who makes the dining booking – points will not be split between Members. To be seated with another Member from a separate booking, please contact VRC Customer Service on 1300 727 575 and advise the customer service representative when making the booking; unfortunately ‘sit with’ requests cannot currently be facilitated via online bookings. 2017 Melbourne Cup Carnival dining products will go on sale via the ballot process. Members wanting to sit together will need to submit their applications together in order for each Member to earn points for their individual booking. Full details will be available in the 2017 Members’ Melbourne Cup Carnival Guide. Purchases made by Company accounts cannot earn points, and are non-transferable. Customer-facing scanners at sales terminals will allow you to scan your own Membership Card. Your Membership Card has scanned correctly if your name is displayed on the customer-facing screen. If you have any issues scanning your card , advise the bar/outlet staff at the time of purchase and request a receipt; they will instruct you to contact the Raceday &Ticketing Office and a VRC representative will meet you at the outlet. It is your responsibility to ensure that your Membership Card is scanned at the point of purchase before the transaction is cashed off, as no amendments will be made after raceday. For all qualifying purchases your total transaction will be rounded up to the nearest dollar (if the total is 50 cents or more) or down to the nearest dollar (if the total amount is 49 cents or less). What’s the difference between standard and bonus points? Standard points are issued at the rate of one point for every dollar spent on applicable Membership products, packages, food/beverages purchased through Customer Service or on a raceday (including any GST but excluding tips and spend using vouchers). Bonus points are awarded for participation in a VRC or partner promotion, i.e. earn 50 bonus points by attending Community Raceday. Bonus points are distinct from standard points, are not always issued at the base rate and do not contribute to Tier Status. How often will I receive bonus point offers? The frequency and timing will vary. Make sure you keep your details up to date on your VRC account by signing in online or contacting VRC Customer Service on 1300 727 575. Make sure you are signed up to the Members’ email for special offers. How long does it take for points to appear on my account? Standard points for eligible transactions will ordinarily be allocated to a Members’ Racing Rewards account within five business days after the relevant transaction. Bonus points will ordinarily be allocated to a Members’ Racing Rewards account within a reasonable period after completion of the relevant promotion. Provided you remain an eligible VRC Member, Racing Rewards points expire two years from the date the points are awarded. Points will ordinarily be issued and displayed on Members’ accounts within five days. No, you cannot buy points to add to your account. Will points carry over from season to season? Points accumulated through the Racing Rewards program expire two years from the date they are awarded. Points cannot be re-credited or used once they have expired. For example, points awarded on 21 May 2016 will expire on, or around 21 May 2018 but not before this date. Can I transfer points to a different Membership? It is a benefit of Platinum Tier Status that Members can transfer points to another Member once per season. To transfer points to another participating Member please contact racingrewards@vrc.net.au with the number of points you wish to transfer and the Member Number and name of the recipient. How do I find out about bonus point opportunities and promotions? Promotions that allow Members to earn bonus points will be announced via email, SMS, via mail, on the VRC website, and/or on course at Flemington on Point of Sale screens and receipts in the Members’ Enclosure. Make sure you keep track of your emails to see when and where you can earn bonus points; bonus point opportunities can be announced by Racing Rewards at any time. What happens if I forget to scan my card when purchasing on a raceday? If you do not scan your card, points will not be awarded. It is the Member’s responsibility to ensure that their Membership Card has been properly scanned at the terminal when making a Point of Sale transaction. At each eligible Point of Sale terminal, there is a customer-facing card reader. The Member must ensure their card is scanned before the transaction has been cashed off by the catering attendant. What if there is a technical issue at the outlet so I am unable to scan my card at POS terminals? If you have any issues scanning your card on raceday at the sales terminals, please advise the bar/outlet staff at the time of purchase and request a receipt; they will instruct you to contact the Raceday &Ticketing Office on (03) 9371 7114 and a VRC representative will meet you at the outlet to resolve the issue. Racing Rewards, and your participation in it, are subject to the Racing Rewards terms & conditions (PDF).